Drea Christopher is a freelance writer with a bachelor's degree in English. She has more than 10 years of experience producing features and SEO articles for national consumer publications, trade magazines and industry leading Web content providers. She has a particular interest in craft, entertaining, education, home and garden and health-related topics. Sports can be more than just a way to pass the time after school and on weekends. According to the website Kids Health from Nemours, regular exercise can help children strengthen bones and muscles, get a sound sleep and reduce the risk of obesity and health problems such as Type 2 diabetes. Participating in sports can also boost self-esteem and improve social skills. Encourage your child’s interest in athletics to help ensure that the experience is a positive one. Help your child choose a sport to suit his age, tastes and physical ability. According to Kids Health from Nemours, forcing your child to participate in a sport that interests you rather than him can lead to resistance or boredom. Select a sport that is also affordable and convenient, so your child won’t have to give it up if it exceeds your budget or available time. Buy the necessary equipment and materials to ensure your child can participate in the sport successfully and safely. According to The Children’s Hospital of Pittsburgh, gear should be in working condition and fit correctly to avoid possible injury. Show your support by volunteering to drive your child to sports lessons, practices and games. According to the University of Illinois Extension, it’s important to help your child learn the basic rules and skills of the sport and understand that you’re excited to watch her compete. Ask your child how involved she wants you to be; you don't want her to be embarrassed if you become a coach, team parent or booster, for example. Teach your child about good sportsmanship and the positive aspects of the experience. 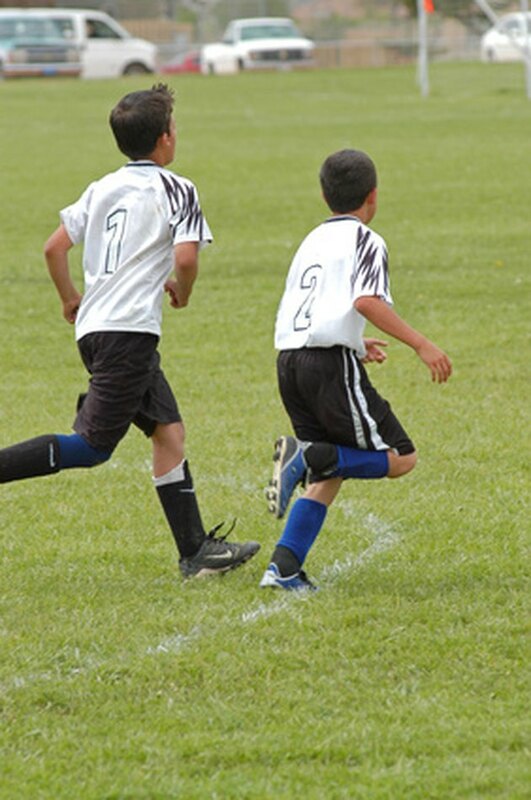 According to the University of Florida IFAS Extension, if your child is playing a team sport, you should encourage him to focus on the positive side of competition, such as the desire to work hard, reach maximum potential and develop camaraderie with teammates. Support your child when she doesn’t win a game or succeed at a sport. According to the University of Wisconsin School of Medicine and Public Health, you should let your child express her feelings of disappointment or failure, and counter the negative feelings by pointing out her accomplishments throughout the competition. Remind her that even professional athletes have bad days. Keep your children from becoming overwhelmed with sports or competition. Balance athletics with school and non-athletic hobbies. Allow your child to quit the sport if he feels stressed, dreads practices and games, or says he’s only participating to make you happy. Avoid becoming overzealous when supporting your child’s athletic endeavors. Be a good role model by reacting to a child’s defeats—and triumphs—gracefully, showing respect for coaches and umpires and being courteous to the competitors and their parents. How Do Sports Help Kids in School?